Mark Graban and I had the pleasure of presenting a two and a half hour lecture introduction to the Toyota Production System, Lean, entitled "What Veterinary Medicine Can (and Should) Learn From Toyota," at the 2016 TVMA Convention and Expo, held March 3-6 in San Marcos, Texas. 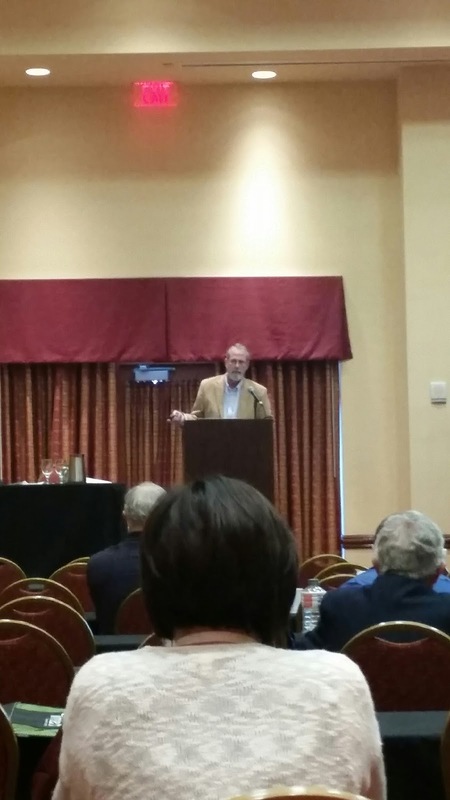 Although the convention was small, compared to regional and national conventions, and primarily a working meeting for the different TVMA committees, we had about 40-45 attendees. Everyone appeared truly interested and engaged. In fact, everyone returned to the lecture after the break, which was very good sign. As mentioned, the lecture only lasted two and a half hours, which was a real task, as the material to cover, even for a basic introduction to Lean, could have easily filled four hours or more. But, we got through all of the material with time left at the end for a short Q and A session. Responses and feedback after the lecture were very positive, such as, "I wish my practice manager could have been here" and "I wish I had this information years ago." One practice owner caught me in the exhibits hall and said the information was "an epiphany. " Really, an epiphany? Well, who am I to argue! I felt the same way when I first discovered Lean, so I definitely understand. The material presented included topics such as value, value streams, "pull" systems, kanban, Just in Time philosophy, flow, visual management, and problem solving. The written notes published in the Proceedings totaled 16 pages and, in fact, form most of this blog's posts to date. 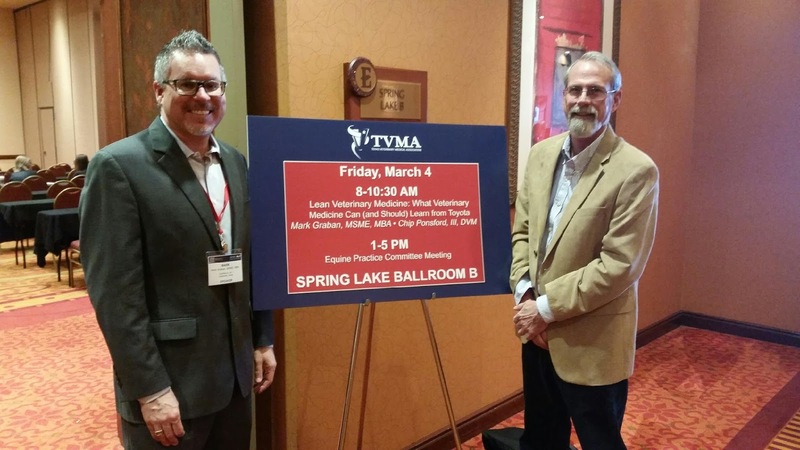 All and all, Mark and I were extremely pleased with this "experiment" of working together and introducing the Toyota Production System to veterinary medicine. Both of us have strong feelings concerning the positive effect Lean could have on our profession, and are ready, willing and able to teach more veterinarians and staff in the future. Here is Mark's post about this at www.LeanBlog.org.